One of the most interesting things about the scuba training agencies is that they actually have 2 fairly contradictory drivers. On one hand, their goal is to set standards that let instructors produce trained, safe divers. On the other hand, since virtually all agencies these days are for-profit, they also want to make money [and that isnt a bad thing for the industry], which means making the training as accessible and modular as possible. And as I have said for the most part, it works. Think about what actually goes on: every time someone wants to become a diver, a for-profit company somewhere has to sign off on it and gets paid for doing so; it also gets paid by both the dive center & the instructor for the privilege of getting paid to do so. Occam’s Razor says that for this state of affairs to continue, the agencies must provide some value. And that they do. For all the chest-beating that goes on in various forums, statistics show that diving is becoming safer. At the same time, what is happening is that standards are actually getting reduced and pared to the bare minimum needed in order to dive safely and with some modicum of competency. This also makes sense in the context that it is coming from – the goal of the agencies is to make diving as accessible as possible, and if a particular skill has no real practical value or safety benefit, why keep it in there? And remember what I said about diving becoming safer… these cuts truly do pare out the fat, not the meat. Beginner instructors typically follow the guidelines prescribed to them by their agency of choice, which lets them teach a competent course, provided they follow the standards both in letter and spirit (which, to their credit, most new instructors do). However, as instructors gain experience, they start to develop their own training philosophies and approach, and their courses take on a unique flavor. Every experienced instructor, consciously or not, ends up with a target “end goal” for his students, and a preferred teaching progression which lets him get the student there [more on this in a later post]. And this is where sometimes, instructors face an external limitation: market dynamics. I might decide that the best way to teach someone to dive would be to take 3 full classroom days, 3 full days of shallow water training and 5 days / 10 dives. This would cost about Rs 35,000-40,000. How many customers do you think I’d get this way? Not enough to stay in business! And this isnt a bad thing either – most people really DONT need 8-10 days of training in order to acquire enough skills to meet the industry’s training benchmark: be able to dive safely. As I said earlier, diving is getting a lot safer, even though a bunch of skills from 20 years ago are no longer taught. Some will argue that this is b/c the gear is safer and I say, so what? Safer is safer, doesn’t matter why. I humbly submit to you that if you stay with your buddy, watch your air/NDLs and are able to maintain your buoyancy, you are going to be diving safely (to head off the obvious: this is not to say that these are the only things you learn; merely that these are most important). I actually think virtually all of my students could go diving with a buddy the very next dive, without a DM, and execute the dive safely. They may not be able to make it back exactly to the starting point, but from the diving point of view, they have the skills to dive safely. -Jump 3 happens somewhere in the 60-100 dive mark, when the slow and efficient movements become a second nature (this I have seen with Divemaster Candidates, when they start to look like dive pros). Of course, improvement is a continual thing and there is a big improvement from, say, 100 to 1000 dives: but those are evolutionary in nature. The three marks above are points at which I personally have seen a relatively big and observable jump in abilities and comfort levels. And I am, of course, making a gross generalization. If you do 20 dives in a row vs doing 4 a year for 5 years, there will be a big difference in when the jump happens. Innate ability also matters – if you are, say, a competitive swimmer, your body adapts to the water very easily as it has a much greater K-Factor. But for the most part, I think these marks are fairly accurate. I ran a poll on our Facebook page asking people at what point they felt confident about diving with a buddy, and without professional supervision. 25% of the divers felt it was at To be honest, the expected number of dives to gain the confidence were higher than I expected. I was expecting more answers to be clustered around the Jump 1 point, but instead, almost 50% of the respondents picked a number around the Jump 2 point. This tells me something – that while we, as an industry, may do a good job of teaching the actual skills to divers, we do not develop a commensurate level of confidence in those abilities. To a large extent, that is understandable: confidence should properly come only after the skills have been tested – ie, once people have done a bunch of dives after certification, possibly in a couple of locations, and realised that that what they were taught in such a relatively short amount of time was indeed sufficient to dive safely. Anything else would just be false, untested assumptions. And again, the goal of the self-policing scuba training industry is not to set the entry-level bar at a very high level, producing perfect divers: I still remember the old club days when it used to take almost a month before a diver got into the water – talk about overkill for the vast majority of people who want to go out, dive a few times and see some nice fish. No, the goal of the scuba industry is to draw more people into the world of diving by giving them the skills to dive safely and competently, and making the sport as accessible as possible to people (and speaking as someone who has certified a bunch of kids and a 71-year old, that is a Good Thing) – anything beyond that is, and should be, the responsibility of the diver. And of course, the agencies do provide all the additional tools needed for continuing to build their skills? But at the same time, a part of me wonders – what if this lack of confidence leads to additional stress if something goes wrong? In other words, instead of (in my best Obi Wan voice), trusting their instincts and their training, divers hit the panic button if something goes wrong simply because they lack the confidence in their skills? I dont know the answer to that. I do know genuine confidence comes from in-water time. We’ve taken some steps to boost that, by maximising the amount of time divers get in the water (long open water dives, trying to fit in a 5th dive or even a 6th dive sometimes if time allows, adding another day of diving past the course to the Learn to Dive package, discounting the Advanced course to the point that we make less money on it than on 5 dives, and that is before factoring instructor time and certification costs). But really, if people are saying 20-25 dives, then despite these measures, there is still a gap: one that cannot realistically be filled within the price/time constraints of an Open Water course. This is where additional training comes in – more courses (Advanced or Specialties, for example) always help accelerate learning. 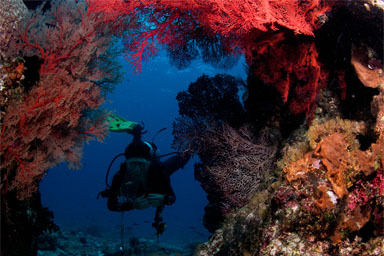 However, even just getting out there and diving is a good way to keep testing and improving your skills. So the main message to all new divers should be: congrats, you have learned to dive and acquired the skills. But you still need to test these skills out, continue to refine them and convince yourself of your mastery of these skills. That part of the journey is yours, and yours alone to make: as a certified diver, you are now in charge of honestly assessing and improving your skills. And on a side note, I will say this – trust what you’ve learned in the Open Water. A few days may not seem like a lot, but when you drill down to it, diving is not that complicated either. You’d be surprised at what you are capable of doing after a well-taught Open Water course. Because of the ridiculous amount of spams blogs attract, comments have been disabled, but please post your thoughts on our Facebook group, if you would like to discuss. Also edited to avoid confusion. One of the downsides of being an instructor for a very long time is the tendency to get set in your ways and become resistant to change. To an extent, that is understandable: I’ve been teaching for 12 years now, and have, through continuous refinement, developed a method that works for me. While this refinement is an always-ongoing process, radical change can often be more disruptive than not. I do try to keep an open mind, but generally speaking, implementing a big change in my teaching process/philosophy only happens if there is an equally big impetus for this change: either I come across a new situation with a student (very rare, these days), or something changes in diving sciences (also not that common), etc. 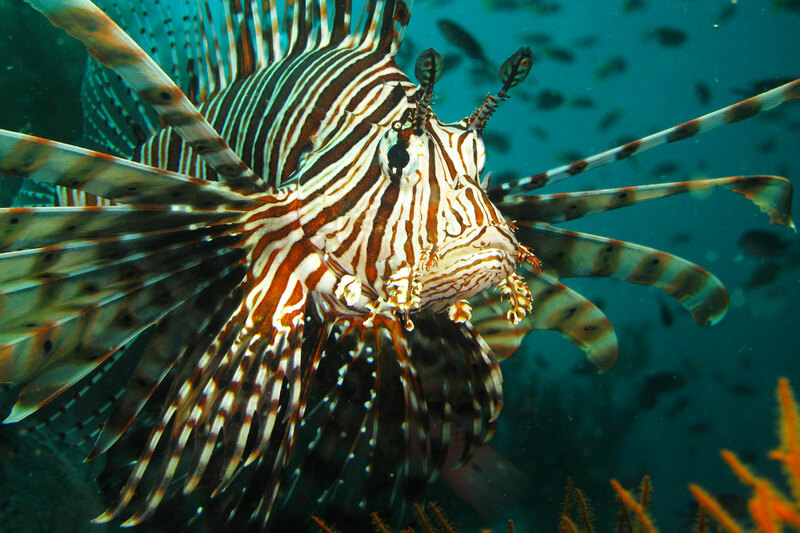 One area where I have decided to embrace change is Online Learning – where you complete your dive theory online, via the website of dive agencies like PADI and SSI. Online Learning has been around for a few years now, and I have to admit, I have been a little less-than-enthusiastic in how we’ve embraced this new technology. My rationale has been that the more contact time I have with a student – be it in the water or in the “classroom” (if our beachside tables can be called that!) – the more time I have to get to know them (how they think, are they nervous, what sort of instruction method will be best for them, etc). And the more customised I can make my course for my students, the more effective and efficient their training. With that in mind, I have always felt that online learning removes an element of this instructor-student contact. In addition, there may also be a greater cost to the students (in terms of registration fees). 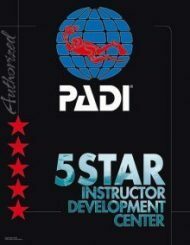 So while we certainly have pointed people out to the Online Learning sections of the PADI and SSI websites when they inquire, we haven’t been actively pushing it. However, recently we’ve had a stream of students who’ve completed their dive theory online and it has been a bit of a revelation for us. When the student comes to the dive center having already completed Online Learning, we – as instructors – do not have to spend as much time with them covering the basics (and let’s face it – the basics of scuba, at least at the Open Water are indeed very simple and do not require extended training to master). What has happened is that suddenly, freed from the time demands of teaching the basics, we have a lot more time to build upon the basics. This allows us to use the instructor-student contact time to expand upon the minimum knowledge requirements and get into more detail on refining buoyancy concepts, teaching about marine life, decompression theory, etc. So as it turns out, online learning has not resulted in reduced student contact – the student contact time remains the same, but we are able to use it to add more concepts to the student’s learning.